Finding out about and comparing different climates of the world eg Arctic and Jungle regions. 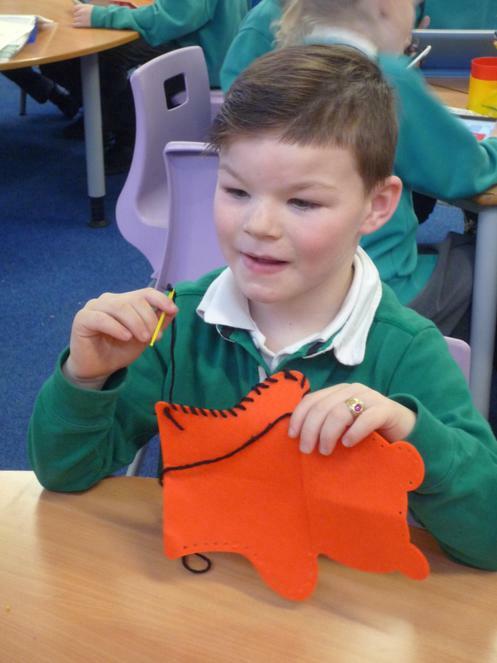 Designing and making Animal Puppets. Learning about the explorer Captain Scott and his expedition to the South Pole. Talking in Welsh about the weather and the clothes we wear. 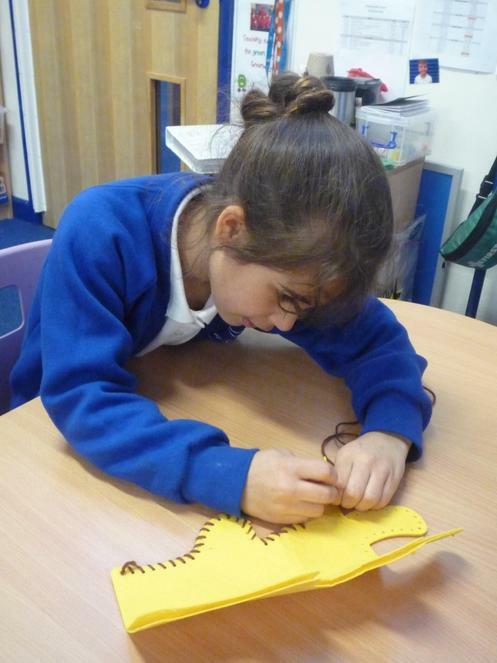 We have enjoyed being explorers in our Role play areas. We have both a Jungle and Arctic area to explore. We use ipads and laptops to research and record work. 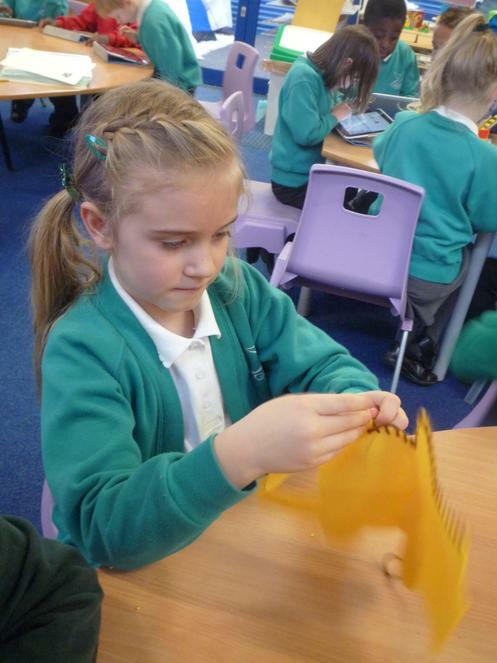 We also use them during our reading sessions to read along with and listen to books. 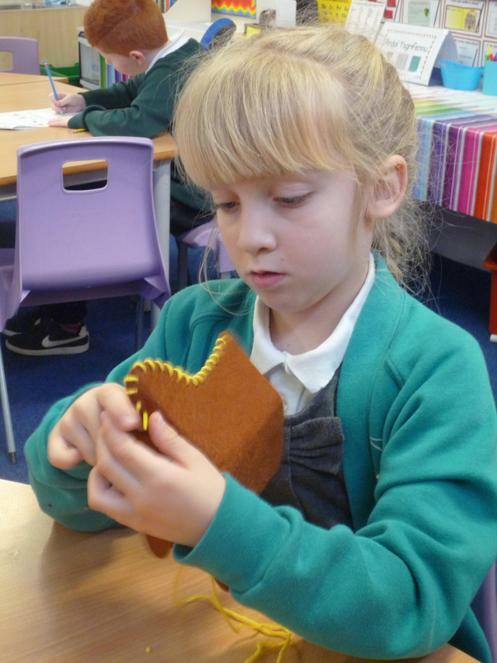 We have been practicing our sewing skills. 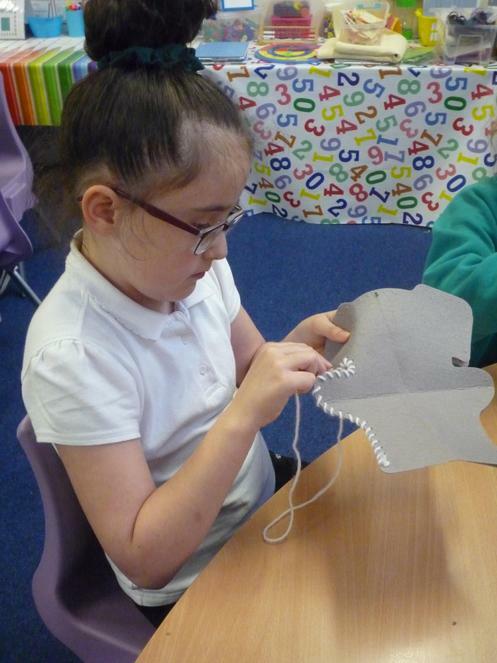 We were then able to apply these sewing skills to create an animal puppet.